A board-certified plastic surgeon, Dr. Joseph V. Cannova., provides a full spectrum of plastic surgery services to Kansas City patients. In response to the region’s demand, his practice focuses largely on cosmetic procedures. He has built an excellent reputation throughout the Kansas City area with his expertise and skill set. Dr. Cannova was named a 2013 Top Doctor in Cosmetic Surgery by 435 South Magazine in a peer-nominated awards process. He’s also been named a “Super Doctor” every year since 2007. If you’d like to book an appointment with Dr. Cannova, call our office at (913) 451-3722. You can also request your consultation online. Dr. Cannova joined Associated Plastic Surgeons in 1998. This Kansas City native says he was drawn to the practice because of the diversity of cases the group treats. 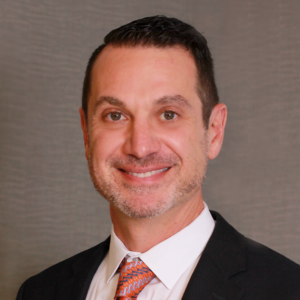 “If you’re skilled at a procedure as complex as breast reconstruction, your skills in cosmetic surgery will be equally transcendent,” Dr. Cannova explains. The trademark of his practice is his 1-on-1 relationship with the patient. Patients leave his office knowing he truly cares about them and their desired outcomes.